The current unit was resurrected in January 1993 (formerly as Company C, then renamed to Company A). Of the nine original members, two are still active. Based in Madison County Virginia, the present day Company A consist of members who live in Madison, Culpeper, Orange, Rappahannock, and Stafford Counties. Some had ancestors who in the original Company A. 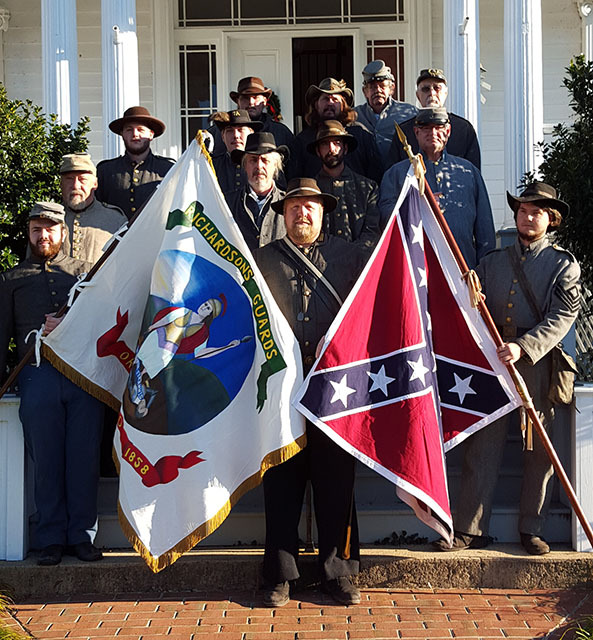 The group is privileged to use both homes of their famous brigade commander, Major General James Lawson Kemper, for living history programs, meetings, ceremonies, and an annual birthday celebration at the grave of the beloved general. Company A has earned the respect of regional historians, museums, public and private schools. Because of its continued dedication and hard work, several historical groups such as The Sons of Confederate Veterans and the United Daughters of the Confederacy have requested and received full participation in numerous monument dedication ceremonial and cemetery services. The Company devotes most of its time to attending battle reenactments, and living histories. The unit has participated in several local parades (having won several prestigious awards), Madison County's Taste of the Mountains (winning best overall presentation in 1997 and 2001) and Graves' Mountain Lodge Fall Apple Harvest Festival. The Company starred in a documentary by the BBC in 1995, filmed on the Fredericksburg Battlefield, and participated in the making of the major motion picture Gods and Generals. In 2011, members of the company also starred in a short movie called the Sons of War. The Company's premier event each year is a Vigil at the Fairview Cemetery in Culpeper, VA, where some five hundred Confederate soldiers and some Union soldiers are buried in a mass grave. The event takes place every May, usually on or around Memorial Day weekend. The 7th Virginia Infantry Company A is an active member of the Third Regiment of the Army of Northern Virginia (ANV), First Division, a large and very active reenactment organization of more than two thousand Confederate soldiers. The company follows the event schedules of this organization. The group stays busy during the months of March through October with at least two reenactment and many living history events. If you love history, enjoy teaching, and demonstrating your knowledge to others, contact us for a very rewarding hobby. Please go to our events page and look at the current events. Consider attending one of these events as a spectator and meet us. Most events are open to the public, but a couple events are only for company members.